John Small has been a Director of the Jamaica National Building Society since September 1998, and with the restructuring of the Group in 2017, is now a Director of The Jamaica National Group Limited and the JN Financial Group Limited. He is a graduate of Bradford University, England and a Fellow of the Chartered Management Institute in the UK. Mr. Small is a former Deputy Director of Social Services for the London Borough of Hackney, England, former non-executive Director of North London University and former Lecturer, Department of Sociology, Psychology and Social Work, The University of the West Indies. He was Chairman of The Planning Institute of Jamaica’s “Working Group on International Migration” and founder and first President of the National Association of Returning Residents. 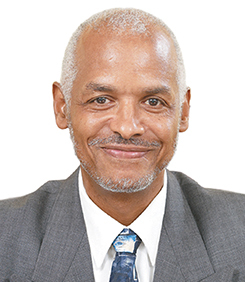 Mr. Small was a member of the Board of Governors of United Way of Jamaica, a self-employed international consultant in the Management of Human Services but has now retired.